At Saturday Kids, kids don’t just learn to code, they code to learn, because kids who learn how to learn become curious, inventive, resourceful human beings who solve real world problems and make a meaningful impact. We cannot teach kids everything there is to know. But what we can do is bring out the curiosity in kids, encourage them to look at problems and think “I can figure this out myself”. In March, 5 of our girls had the opportunity to do just that with Technovation. Technovation is a global technology challenge aimed at empowering girls; every year, Technovation invites teams of girls from all over the world to learn and apply the skills needed to solve real-world problems through technology. 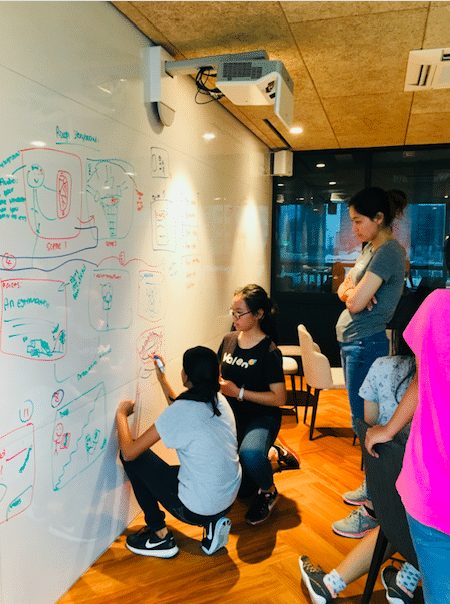 Girls in the Technovation Challenge work in teams, with the help of mentors from the tech industry, on every step of the innovation process. Finalists are awarded scholarships and the opportunity to attend the World Pitch Summit in Silicon Valley. This year, Saturday Kids had the opportunity to mentor a team of dedicated girls for Technovation! Meet (L-R, standing) Hai En, Chloe, Ashley, (L-R, sitting), Sunny & Rayna AKA The Saturday Kids! 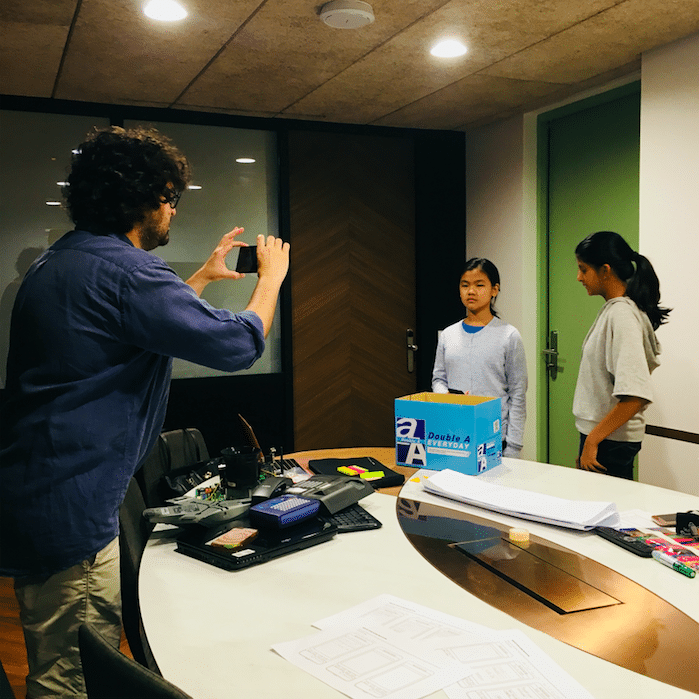 Over the course of 7 weeks, these dedicated young girls worked tirelessly not only on coding their app via the MIT App Inventor 2 platform, but also on their marketing skills with a pitch video and an app demo video. The girls decided to tackle the problem of e-waste in Singapore. Based on some preliminary research, they found that e-waste in Singapore is more often than not incinerated which has an adverse impact on the environment. They decided to work on building an app that would address this problem. In their own words, they wanted to “increase awareness of how e-waste is disposed of & its environmental impact, increase the percentage of e-waste being disposed of appropriately and to provide Singaporeans with an avenue through which they can dispose of their e-waste correctly”. Increasing awareness of the problem of e-waste and its impact on the environment. Our app will help speed up the process of recycling by enabling users to easily locate companies willing to recycle their electronic waste. Furthermore, users will be able to buy and sell unwanted electronic devices still in working condition. Users will also be able to view newspaper articles related to electronic waste. The girls coded the app themselves using a block-based coding programme; some had prior experience with mobile app development but the coding was still a challenge for them. 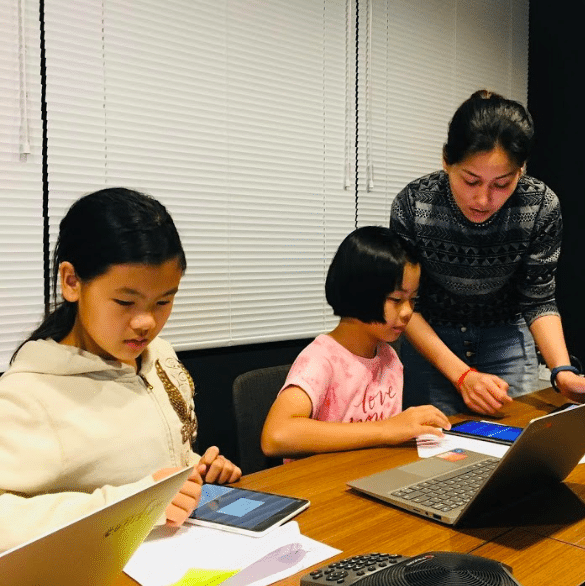 Nevertheless with some help from their Saturday Kids mentors, they were able to build on their existing knowledge and code a much more complex app than they had originally thought they could. 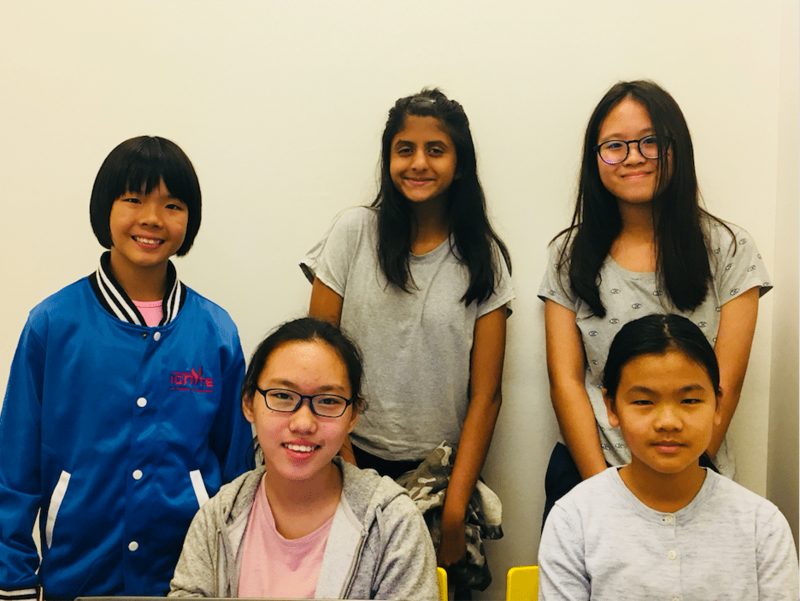 Some of them have even been inspired to keep coding – “It was quite challenging at first and we didn’t know where to begin but with the guidance of our mentors, we learnt a lot and it became a really meaningful experience. Plus we also had lots of fun doing it too!”. 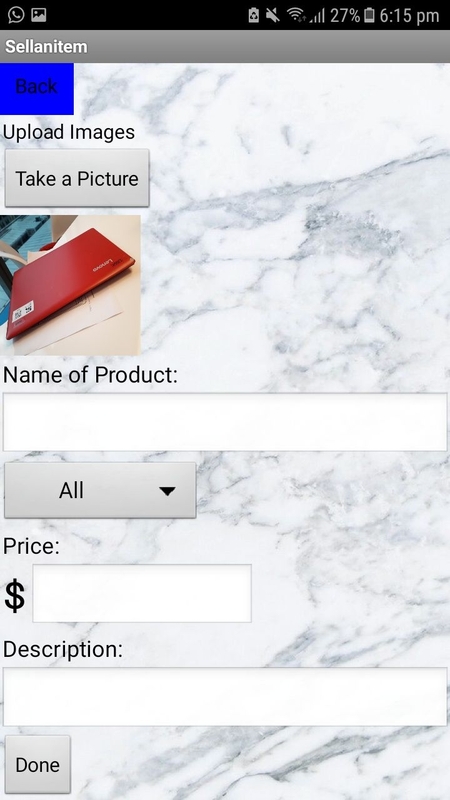 The app is currently still in the prototyping phase but we’re exploring on how we can keep working on it and eventually get it up on the Google Play store so stay tuned for that! The girls worked diligently to code their app to the best of their ability and submitted their project in end-April. At the end of it all, they were pretty happy with what they had managed to achieve. Hai En learnt that “nothing comes easy and we have to work hard to create something”, while Rayna reflected that “achievement and success take teamwork and perseverance”. Sikieng was also the Ambassador for Technovation Cambodia in 2016 and has experience working with girls who are looking to make a difference. We’ll be sharing Sikieng’s experience with Technovation Cambodia sometime next month so keep an eye out for that! Saturday Kids is proud of the team and wishes them all the best! We hope to keep inspiring and helping young girls pick up digital literacy skills and believe that whatever boys can do, they can do just as well, if not better. Previous Post How hard is it to build your own computer?